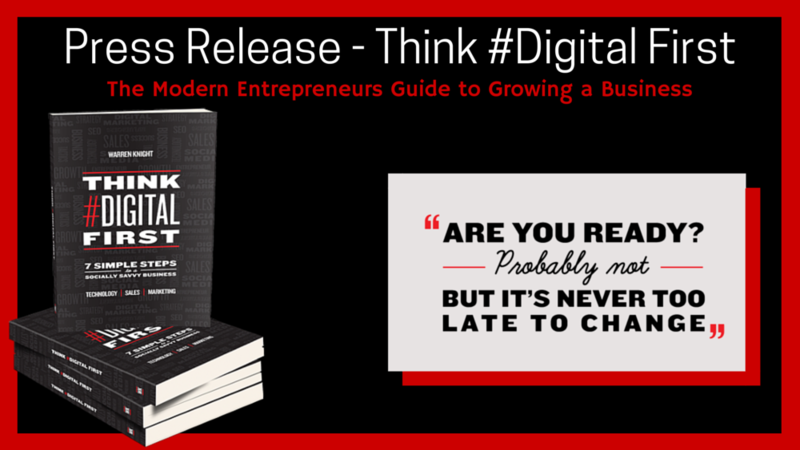 Think #Digital First is a seven step guide designed for creative entrepreneurs, business owners and sales and marketing managers, to demystify the new digital age, equip them to build a socially-savvy business and build their entrepreneurial footprint online. From strategies for effective time management to the latest tools and technology, each of Warren Knight’s seven steps is geared toward establishing a framework for success. Warren has over 20 years’ experience in marketing and selling products and services globally, in an impressive career which includes working with Disney and Nickelodeon, where he grew the business from a $5 million to $30 million company in a 5-year period, selling to over 30 countries, and achieving $1 million sales in one month. Fascinated by social media, Warren has immersed himself in its evolution for the past decade, quickly establishing himself as one of the industry’s leading minds in the digital social space. Warren has helped thousands of start-ups and SMEs build their digital footprint, increase sales by up to 500% and grow their business through social media, digital marketing and ecommerce. The book launch will be “live streamed” for the world to watch in real time. The first time Filament Publishers have live streamed a book launch. Please contact Starr on starr@warren-knight.com or 020 8113 9381 to find out more information.